For dogs, there are more places to get active and social than ever. If the weather is too cold for the two of you to take a walk or have a little fun in the snow, check into what’s available locally. Agility centers, indoor pet play facilities, and even doggy day care can get your dog much needed interactivity and the two of you will have a blast. You can also play games at home if you prefer. Set aside ten minutes or more to toss a ball inside, play a favorite game with your dog, or whatever else he or she loves. Don’t forget snuggling counts! For cats, it’s better to keep cats indoor to help avoid their getting lost, injured, etc. But it doesn’t mean you and your cat can’t have a little fun, too! Cats love experiences and have a natural curiosity. Even just a little bit of newspaper or tissue paper from a gift bag you’ve kept stowed away, a box or container can create a whole new environment within your home. You can also include fun play with whatever you do — a box with a few holes cut into it and a little string for you to drag across or peek through holes will keep your cat or kitten busy with you. Don’t think that birds and other animals don’t enjoy a little fun time with you! Hamsters, gerbils, rabbits and other animals that can come out of their cages safely often love it. Don’t let them have a full run of the house to ensure they do not get lost or injured — just block off an area with a gate or other enclosure and it can provide plenty of fun. Many birds love music, you speaking with them or other ways to interact and engage. Make it a point to spend at least ten minutes doing so — even just a few minutes of your undivided attention can be a blast for pets of all kinds. You can find great ideas for interacting and playing with pets from veterinarians on Kuddly. 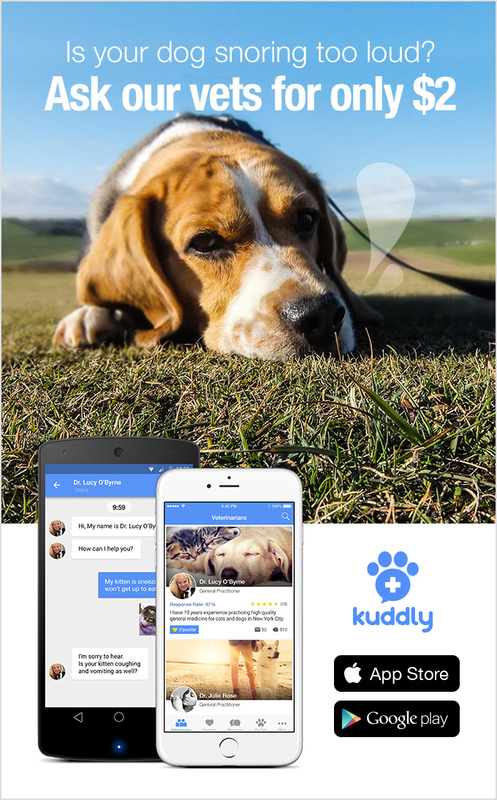 Just download the Kuddly app if you do not already have it, and you’re set! Share what type of animal it is, any personality traits, likes or dislikes and its age. Kuddly veterinarians are fully accredited, verified experts in their industries from practices around the world. What a way to spend the winter!